The two online dinner bag providers, Adams Matkasse and Godtlevert.no are joining forces and intend to finalize a merger. With this, they will be able to challenge the three dominating grocery chains in Norway. “Both Adams and Godtlevert.no have since the start had a strong ambition and desire to increase the competition in the Norwegian grocery market. Through this merger, we will become a real contender to the established grocery chains”, says the Godtlevert.no founder Kjetil Graver. He is convinced that the merger will result in substantial cost synergies, which is crucial to compete against the grocery chains’ scale advantages. 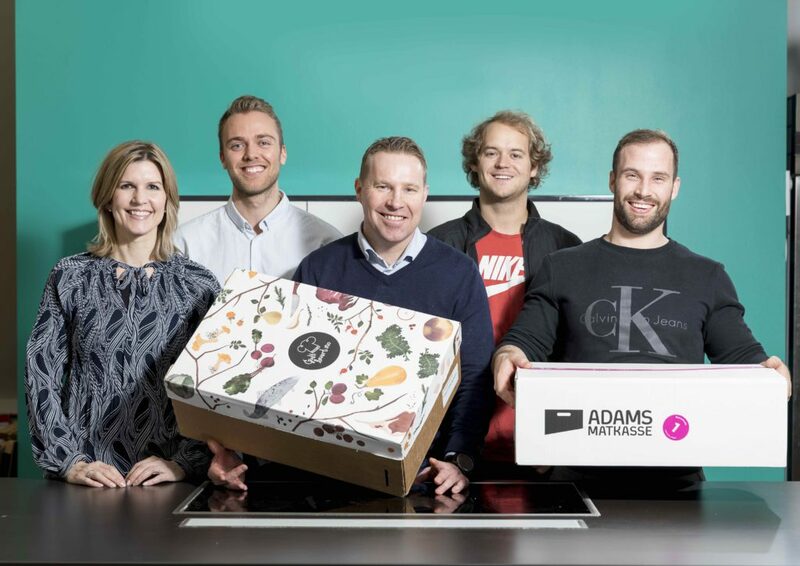 Kjetil Graver and his co-founders are now merging the company they established in 2010 with the Bergen-based dinner bag provider Adams Matkasse. The shareholders of Godtlevert.no will receive shares in Linas Matkasse as payment. Linas Matkasse, a company backed by the Norwegian private equity firm Herkules Capital, owns more than 90% of Adams Matkasse. Adams Matkasse and Godtlevert.no have an annual revenue base of NOK 330 and 390 million and close to 25 000 and 30 000 customers respectively. The two brands will continue to operate as separate concepts, and resources will be committed to further strengthen and enhance the two brands. Adams Matkasse has 74 employees, while Godtlevert.no employs about 65 people. Both companies have during the last years focused heavily on finding local suppliers across the country who have a great sense of traditional heritage. This has contributed to additional growth and has increased employment at several smaller food suppliers outside the larger cities. “Our disruptive business model is based on excluding expensive intermediaries like the large wholesalers. Instead, we offer high quality products delivered directly from the manufacturers. These quality conscious and traditional suppliers are too small to get shelf space at the large grocery chains. Thus, the merger will provide these manufacturers with a much greater opportunity to reach a national audience”, says Managing Director at Adams Matkasse, Veslemøy Tvedt Fredriksen. With this transaction, Herkules takes another big bite of the Nordic grocery market. In 2015, Herkules acquired 35% of the shares of Linas Matkasse. Linas will own 100% of the newly merged company. “This transaction fits into our long-term strategy to focus on the grocery market both in Norway and internationally. We feel that this structure and business model can credibly challenge the established players and make money at the same time. Herkules can contribute with both growth capital and considerable industry knowledge”, says Sverre B. Flåskjer Managing Partner at Herkules Capital. The merger is subject to approval from the Norwegian competition authority.